– September 15, 2012Posted in: SusieQ FitLife Breaking News, SusieQ FitLife Updates! Can You Find the Man in the Photo Below Within 3secs or 1min? Answer the Question Below and let us know how long it took you to locate the man seen in the image! Find out on Monday what this could mean about your FitLife! DID YOU Find HIM? Where is He? Be sure to LIKE & Join Our Facebook Page! See all of the healthful benefits you can gain just by reading our Smoking, Eggs & Coffee for Breakfast article right here! Meet our FitLife Winners of the Mojo Roast Prize Pack above on Monday! 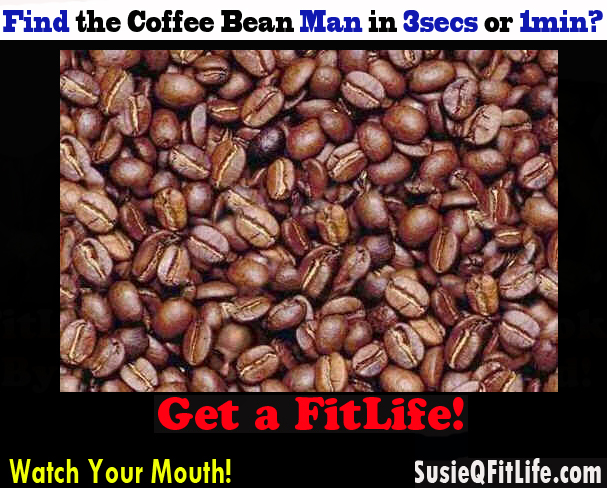 You’ll learn even more about the beneficial coffee tips that can enhance your FitLife! Stay tuned & Get a FitLife! Mojo Roast Products featured on our SusieQ FitLife Family Facebook Page!